I have often wondered why we don’t see more Sankey diagrams coming out of India. With a population of 1.252 billion and a solid engineering education (according to AICTE 2011/2012 report: 3495 degree-granting engineering colleges in India with an annual enrollment crossing 1.2 million, 16% of Indian students take an engineering/technology course, number of graduates from technical colleges was over 700,000 in 2011) I would have expected more. Anyways, the 2006 report ‘National Energy Map for India. Technology Vision 2030* published by the Office of the Principal Scientific Adviser to the Government of India (PSA/2006/3) does have a number of Sankey diagram figures. 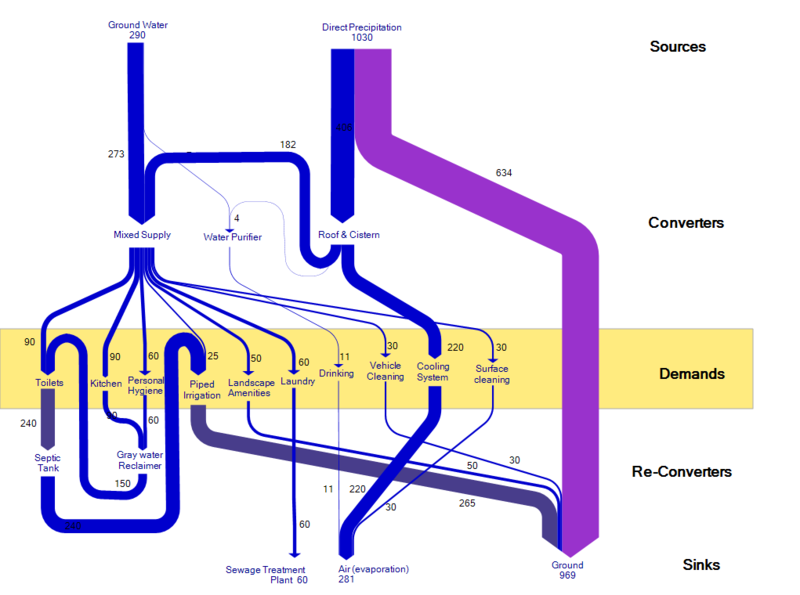 This Sankey diagram below is for one of the different scenarios for energy generation and use in India in 2031, called the ‘High energy efficiency scenario’. The stacked bar at the left is lower, but the absolute numbers for total commercial energy supply are much higher in 2031 than in 2001 in all energy scenarios, so these diagrams mustn’t be compared directly one to another. See the appendix A5 (pp 271-278) for more Sankey diagrams for other 2031 Indian energy scenarios. 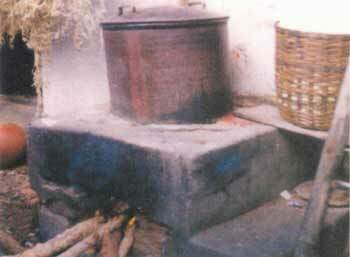 This article on the FAO website shows a comparison of several types of simples stoves and their energy balance using Sankey diagrams. The Sankey diagrams show how the energy (typically from wood firing) is lost, and that only a small fraction of 12 to 20 % is actually being used as “useful heat”. More of these “heat flow diagrams” can be found in chapter 4.2. of the article. A rather special feature of the diagrams shown in this article is that the percentile values given for the flows cover a range (e.g. Ash and Char 5,97% – 12,15%), rather than a specific absolute value. This is rather untypical. Also, it can be noted, that the width of the arrows are not always to scale: compare, for example, the width of the “Surface” arrrow to that of the “Thermal Mass” arrow. It should be roughly four times wider. The same Sankey diagram created with a Sankey software tool shows the arrow widths correctly.